Finally Got a decent tune on the MP62 - Miata Turbo Forum - Boost cars, acquire cats. Must say I should have gone to a standalone engine management system a long time ago. I know the Supercharger can get a fair amount of hate on this forum. But the megasquirt gets a lot of love and I have learned a lot here. I believe your choice of boost is a deeply personal one. Mine came down to a fully done SC kit available at the right time for the right money. Ok onward to the interesting bits... I got the megasquirt DIYPNP hooked up and running well enough on a base map. Took it down to Ken Hill at Oracle and tuning. Must insert huge shout out to Ken he did great work took his time and taught me a lot!! I look forward to continuing to work with him. My mod list can be found in my build thread https://www.miataturbo.net/build-thr...-thread-83429/. Results are 235 whp and 197 ftlbs. I am super pleased with the results. Car drives amazing idles well and I really look forward to continuing to improve this map and playing with a lot of the features of the MS. Here is to hoping I don't break anything before I build my spare motor. And you actually made more than a warmed up m45. nice numbers. Thanks man. I am very please with the results. Hoping nothing breaks and driving the crap out of it for now. eventually build more. Nice results! Any chance you'd be willing to share your tune? I'm curious to see your idle settings. I won't lie my idle settings are still a work in progress. I am idling pretty rich and with hot days and hot restarts seem to run into some issues. I have attached my MSQ I do not know your mods but I hope this helps. What issues are you having? Thanks for sharing. I see you're using PWM Warmup for your idle control. I'm hoping to get PWM Closed-Loop working well enough to make it idle close to stock. I have a BRP R3 kit on my car with the 75mm BBK throttle body. Switching to PWM Warmup idles pretty damn well, but it of course won't catch the idle drop that's induced with you lift the throttle and disengage the clutch. I haven't updated my MS3x firmware in ages and I now see that PID tuning settings on later versions of the firmware have changed significantly. I may try upgrading the firmware and tinkering with the idle settings in PWM Closed-Loop mode again to see if I can get it working any better than before. Enclosed is my msq, which was what I had on the car when I was running my 4 rib BRP setup (the R3 is a 6-rib system) with dual stock throttle bodies. Awesome keep me posted on the closed loop idle. It seems the only issue I have is with the AC or hot days after a full day of autox. I'm going to work on closed loop here when I get some time. But schedule is busy so I'm going to enjoy it as is for a while. Forgot I should have posted this video here as well. Car sounds nuts!! I love it. The person who I purchased my MP62 miata from had it tuned by Ken Hill as well. It has a perfect (and safe!) 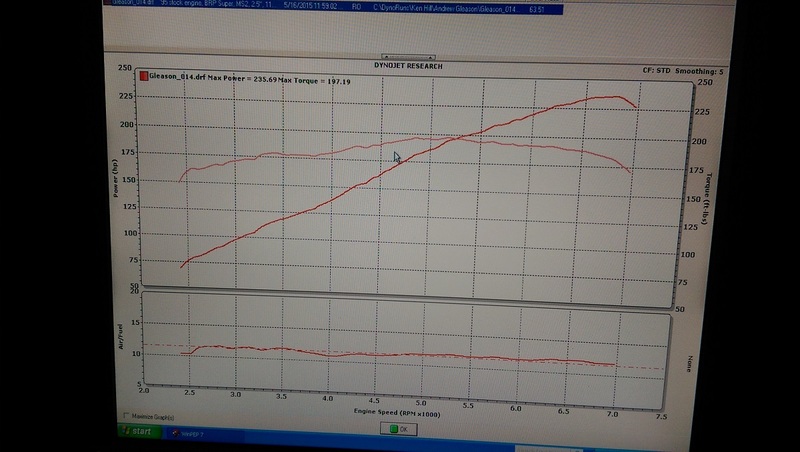 air/fuel ratio during acceleration as well as cruising. (It has an AEM wideband) So far, I am very impressed.